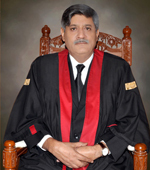 Justice Arshad Mahmood Tabassum was born on 15.10.1959 at Rawalpindi. He obtained his Bachelor as well as Master Degrees (Islamis Studies) from the Punjab University, Lahore, Pakistan. He did LL B (Shariah and Law) from the International Islamic University, Islamabad, Pakistan. Enrolled as Advocate in the Punjab Bar Council, Lahore, Punjab, Pakistan in the year 1986. Enrolled as Advocate High Court in the Punjab Bar Council, Lahore, Punjab, Pakistan in the year 1988. Practiced at the Bar for about 12 ½ years. Appeared as an Advocate in District Courts, High Court, Federal Shariat Court and Federal Service Tribunal in civil, criminal, family, Constitutional, Hudood and Service matters. Ex. Member, District Bar Association, Rawalpindi. Ex. Member, High Court Bar Association , Rawalpindi. Was appointed as Additional District and Sessions Judge in the year 1998. Served as Additional District and Sessions Judge, Lahore on (April 2001 to October 2002). Served as Additional District and Sessions Judge, Bahawalpur (November 2002 to March 2003. Elevated as Additional Judge of this Court on 29.10.2013. Being Focal Person of Ministry of Law and Justice, participated in One Week training course of Gender Reform Action Plan(GRAP), held in Dubai in July 2008. One week Course on Financial Management held in Federal Judicial Academy in March 2011. Visited London(The UK) in April-May 2007, to participate in the UK- PakistanJoint Judicial Cooperation Working Group and negotiated various agreements. Visited Brussels(Belgium) in September 2007, to negotiate Re-admission Treaty between Pakistan and European Union. Visited Colombo (Sri Lanka) in April 2008, to participate in negotiation on Convention on Mutual Legal Assistance in Criminal Matters in SARAC Countries. Visited London(The UK) in June-July 2008 to participate in the meeting of the UK- Pakistan Joint Judicial Cooperation Working Group and negotiated various agreements including Extradition Treaty, Mutual Legal Assistance in Criminal Matters and Re-admission Treaty. Visited Tripoli(Libya) in March 2009, to participate in negotiations to conclude various agreements between Pakistan and Libya. Visited Moscow(Russian Federation) in March 2009 to participate in negotiation to conclude agreement on mutual legal assistance in criminal matters between Pakistan and the Russian Federation. Rendering Legal Opinion to various Ministries, Divisions and Departments of the Federal Government. Vetting of domestic as well as international agreements, treatiesand conventions. In-charge of the Legal Advisors Cell in the Ministry of Law and Justice. Member of the Board of Trustees of the Abandoned Properties Organization. Focal Person of the Ministry of Law and Justice for Gender Reform Action Plan. Member of the Drug Licensing and Registration Board of the Federal Ministry of Health. Did LL.B Shariah and Law in first ever Batch of International Islamic University, Islamabad. First Law graduate of the International Islamic University, Islamabad, who was selected as Additional District and Sessions Judge. Topper of his Batch as Additional District and Sessions Judge. Disposed of the highest number of Narcotic cases throughout Pakistan in the year 2010. (so is evident from the data published by the Law Commission of Pakistan for the said year). Hon’ble Mr. Justice Sardar Tariq Masood having been elevated as Addl. Judge of Lahore High Court, Lahore on 14.09.2009 and was confirmed on 11.05.2011. He was born in a noble family of village Saroha, Tehsil Kallar Syedan District Rawalpindi. After doing Bachelor of Law, Mr. Justice Sardar Tariq Masood started practicing law in year, 1985 at District Rawalpindi and was enrolled as an Advocate High court in the year, 1987. His Lordship ascended to be an Advocate Supreme Court in the year, 2008. He remained as President, District Bar Association, Rawalpindi. Remained Inspection Judge, Khanewal, Vehari, Pakpattan Districts and at present Hafizabad District. Remained Member Administration Committee, Lahore High Court, Lahore. Remained Administrative Judge, Labour Courts, Drug Courts and Consumer Protection Courts. His Lordship Mr. Justice Sardar Tariq Masood enjoys cordial and harmonious working relationship with the Bars. The honourable Judge was born in Multan City on 6th March 1953. He belongs to lawyers’ family, as the father of his lordship late Haji Mushtaq Ahmad Aqil, was a prominent Advocate of High Court. His lordship earned Bachelor’s degree from Punjab University in 1972 and of LL.B. from Gillani Law College, Multan in 1976. Later, he also obtained Master’s Degree in History from Bahauddin Zakariya University Multan. 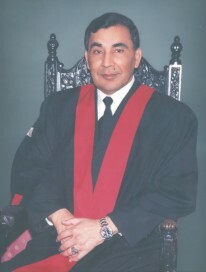 The honourable Judge started his career in practice of law as an Advocate in Lower Judiciary in 1979. Soon after, he graduated to the level of High Court in 1982 and later as Advocate of Supreme Court in 1997. During his practice as an Advocate of over 30 years, the honourable Judge has contested very large number of cases involving Constitutional matters as well as Murder References. Most of his cases have been reported in law books and journals. The honourable Judge took active part in Bar Elections and was elected as Vice President (unopposed) of High Court Bar Association Multan Bench in 198-84. 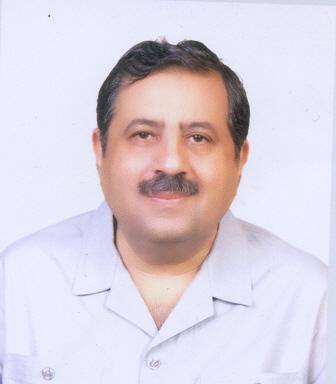 He has been Member of Punjab Bar Council for two consecutive terms spanning ten years (1999-2009). During his tenure as Member Punjab Bar Council, he has been Chairman of Disciplinary Committee twice (2005-2007), Chairman Finance (2001-2002) and Chairman Human Rights Committee (2007-2008). Acknowledging his knowledge of law and contribution towards facilitating justice for the masses, the honourable Judge was elevated to the Lahore High Court in March 2011. Hon’ble Mr. Justice Sh. Najam ul Hasan was born on 15.3.1952 at Lahore. His father late Sh. Jan Hussain was in Prosecution Branch in Dehli and after Partition became a prominent lawyer of the Supreme Court of Pakistan during the years 1950-1964. The Hon’ble Judge after passing matriculation from Govt. Pilot High School, Wahdat Road, Lahore, graduated from F. C. College, Lahore and then passed his LL.B. Examination from Punjab University Lahore. His lordship was enrolled as Advocate on 19.12.1977 and then Advocate of High Court on 21.1.1980. The Hon’ble Judge joined the Law Chamber of Khawaja Sultan Ahmad, Senior Advocate Supreme Court of Pakistan, conducted and assisted in many important legal matters and trials. The Hon’ble Judge started his own independent Law Chamber. He was enrolled as Advocate of the Supreme Court on 12.3.2003. His lordship independently conducted hundreds of murder trials as well as other important cases of heinous nature in different Districts, Murder References, Criminal Appeals and Constitutional matters in High Court and Supreme Court of Pakistan. The Hon’ble Judge remained Standing Counsel for WAPDA for many years, provided legal advice to different noteable Companies like Philips Electrical Company, Koh-e-Noor Industries, Dawood Group, Kakasheen Group of Industries, Best fruit juices and others for many years. Also conducted important cases in A.T.A. Courts, C.N.S.A. Courts, Accountability Courts, Tribunals and Appellate Tribunals. His lordship was purely a professional lawyer having no affiliation with any Group or Party and has unblemished record of thirty years in Legal field. 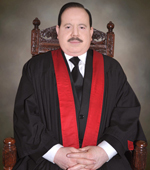 He was elevated as Judge of the Lahore High Court on 15.9.2009. After elevation to the Bench the Hon’ble Judge was also appointed as Chairman of the Punjab Bar Council Tribunal, Lahore. He worked as Election Tribunal, Punjab and in this capacity decided a lot of important cases. His lordship is a Member of Syndicate of the National College of Arts Lahore and has attended meetings of the Board and rendered legal opinions for betterment of the College. 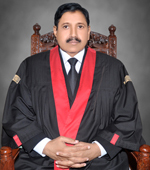 The Hon’ble Judge has been nominated by the Government of Pakistan as Judge, Special Appellate Court for the Province of Punjab under the Prevention of Smuggling Act, 1977 and is Administrative Judge of the Accountability Courts of Punjab, Special Courts (Central), Anti Corruption Courts, Courts under the Control of Narcotics Substance Act, 1997 and the Courts under Customs Act, 1969. His lordship also remained Senior Judge at Bahawalpur and Multan Benches for more than a year. Born in a middle class Family on 12th December, 1951, Honourable Mr. Justice Nasir Saeed Sheikh completed his Bachelor’s level education in Law with First Division from University Law College, Lahore in the year 1975. 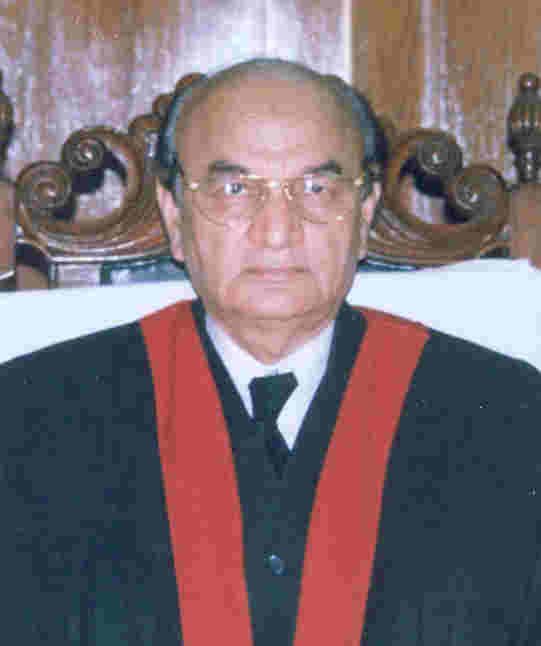 Justice Nasir Saeed Sheikh joined the profession of Law from Rawalpindi by enrolment as an Advocate with the Punjab Bar Council in 1975 and there from commenced his practice in Law. In the Year 1978, he was enrolled as an Advocate and Pleader of the High Court of Punjab and then later in 1989 he was enrolled as an Advocate of the Honourable Supreme Court of Pakistan. 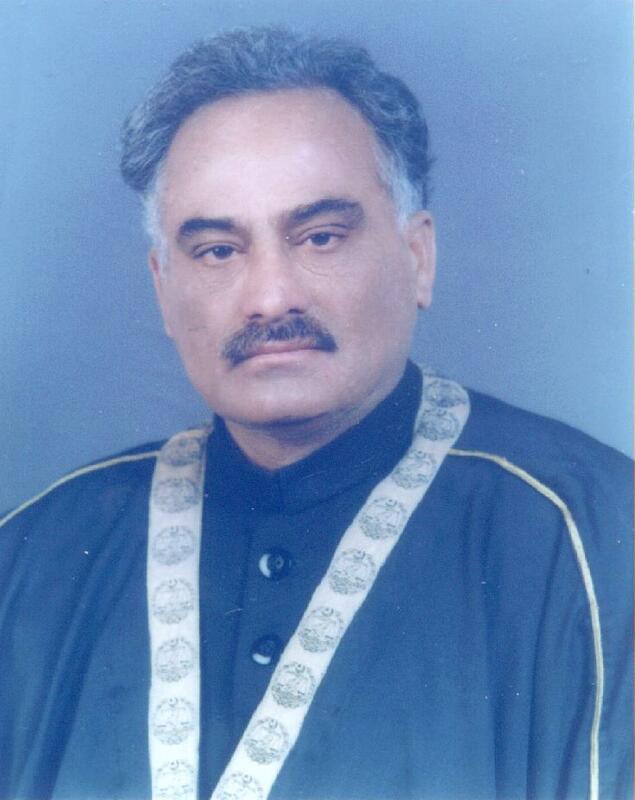 During his thirty four years practice as a Lawyer, he was appointed as Legal Advisor to the Rawalpindi Municipal Corporation, a panel lawyer for the United Banks Limited, Legal Advisor to Punjab Road Transport Corporation and conducted countless important cases in the civil, criminal, service and Constitutional spheres. Mr. Justice Nasir Saeed Sheikh had also the honour of being a faculty member of the Federal Government Law College, Islamabad. 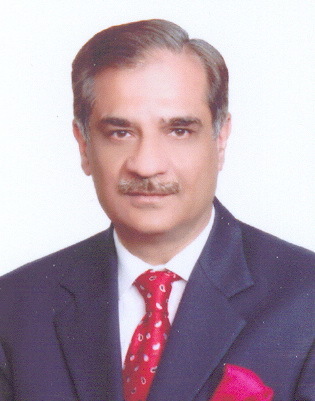 In the year 2002, he was appointed as Standing Counsel for the Federal Government of Pakistan and was later appointed as Deputy Attorney General for Pakistan in the year 2004 and was the first Law Officer for the Federal Government to resign in March, 2007 for the laudable cause of the restoration of the judiciary. 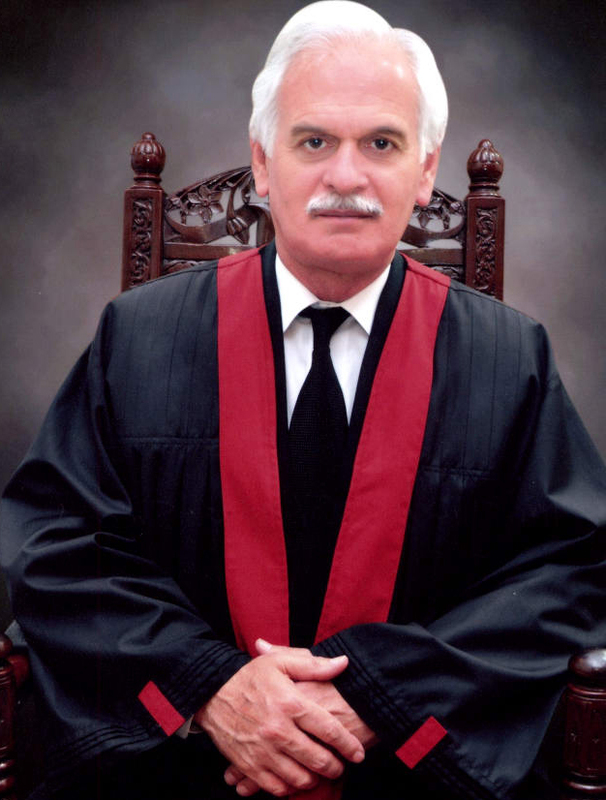 His Lordship was elevated as Additional Judge of the Lahore High Court in September, 2009 and was later confirmed as the permanent judge of the Lahore High Court. His lordship has authored numerous judgments involving substantial Constitutional Law points of public importance which are reported in the various Law Journals of the country. 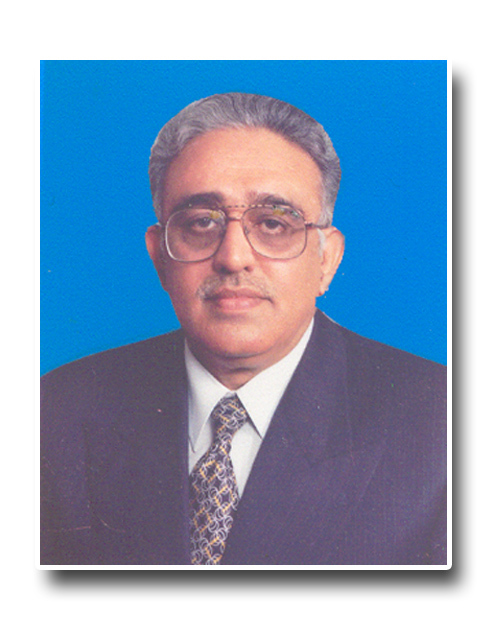 Mr. Justice Nasir Saeed Sheikh was also a member of the Syndicate of Fatima Jinnah Women University, Rawalpindi. 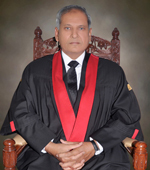 His lordship was honoured with the appointment as Chairman of the Punjab Subordinate Judiciary Services Tribunal; was the Administrative Judge for Customs, Excise & Sales Tax Appellate Tribunals/Income Tax Appellate Tribunals, Family Courts/Causes, LDA Tribunal/Child Protection Court/Taxation/Commercial Causes; was associated with Access to Justice Program, training of Judicial Officers and Officials of High Court Establishment. His lordship was the member of the Administrative Committee of the Lahore High Court and had been entrusted with the responsible functions as the Administrative Judge of the Lahore High Court. 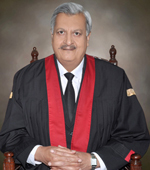 His Lordship was honoured to be the Senior Puisne Judge of the Lahore High Court and the member of the Judicial Commission of Pakistan since February,2013 till his retirement on 11th December,2013.During His Lordship’s tenure as the Senior Puisne Judge, was known to be the strict custodian of the departmental discipline, harmonious working of the staff, quick disposal of the administrative matters and an unimpeachable uprightness within the Institution. Born on 1-4-1945 in a well known village Chishtian of District Bahawalnagar. Acquired Primary Education from the Village School and matriculation from Government high School Chishtian City.After LL.B Degree from S.M Law College, Karachi was enrolled as an Advocate in 1965; As an Advocate of High Court, Lahore in 1981-82 and Advocate of Supreme Court of Pakistan in 1997; Hon’ble Judge had been elected as Secretary Bar Association Chishtian and then in 1978 became President Bar Association Chishtian; Had been elected as Secretary High Court Bar Association Bahawalpur in 1986 and president High Court Bar Association Bahawalpur in 1997. 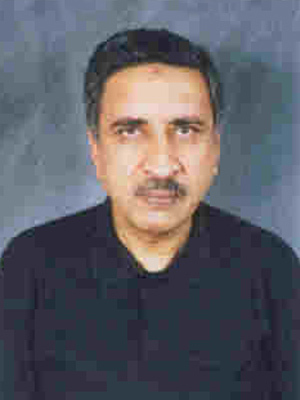 He had been teaching (Part Time) in the Department of Law, Islamic University, Bahawalpur from 1985 to 1995. He was Legal Advisor of P.I.A at Bahawalpur. Elevated as Additional Judge of the Lahore High Court on 21.4.1999 and as permanent Judge on 21.4.2000. His lordship had wide knowledge in Islamic/Indo Pak History as well as poetry. 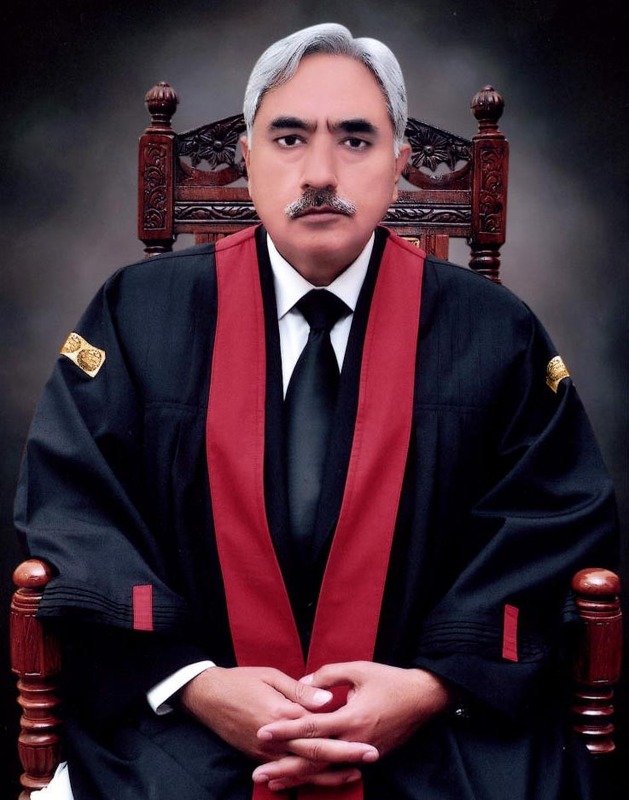 Hon’ble Mr. Justice Asif Saeed Khan Khosa was born on December 21, 1954 at Dera Ghazi Khan. He passed his Matriculation Examination in the year 1969 from the Board of Intermediate and Secondary Education, Multan winning the National Talent Scholarship. As a student of Government College, Lahore he passed his Intermediate Examination in the year 1971 from the Board of Intermediate and Secondary Education, Lahore securing first position in the Board and winning the National Talent Scholarship. Again as a student of Government College, Lahore he passed his B.A. Examination in the year 1973 from the University of the Punjab securing first position in the University and winning the National Talent Scholarship. He secured his M.A. degree in English Language and Literature from the University of the Punjab in the year 1975. After proceeding to the United Kingdom in the year 1976 for his legal education he completed his Law Tripos, Part I, from Queens’ College, University of Cambridge, United Kingdom in the year 1977 and then he obtained his LL.M. degree from University of Cambridge, United Kingdom in the year 1978 with specialization in Public International Law in the subjects of the Law of Peace, the Law of War and Armed Conflict, the Law of International Institutions and the Law of Civil Liberties. He was called to the Bar on July 26, 1979 at the Honourable Society of Lincoln’s Inn, London, United Kingdom and was conferred the degree of Utter Barrister. Justice Khosa was enrolled as an Advocate of the Lahore High Court on November 13, 1979 and later as an Advocate of the Supreme Court of Pakistan on September 12, 1985. As an Advocate Supreme Court he handled thousands of cases of constitutional, criminal, civil, service, revenue and election laws in the superior courts of Pakistan. Over 600 cases conducted by him had been reported in various Law Reports. He also served as a Member of the Library Committee and as a Member of the Executive Committee of the Lahore High Court Bar Association, Lahore for some time. During his legal practice Justice Khosa had authored two books titled ‘Heeding the Constitution’ (1995) and ‘Constitutional Apologues’ (1997). He had also edited and compiled ‘The Constitution of Pakistan, 1973′ with all amendments upto date (1989). He had regularly been writing articles on various aspects of the Constitution of Pakistan and the same had frequently been published in PLD, PLJ and all the major English newspapers of the country. Justice Khosa belongs to a well-educated, landed, well-known and well-placed family of the Punjab. 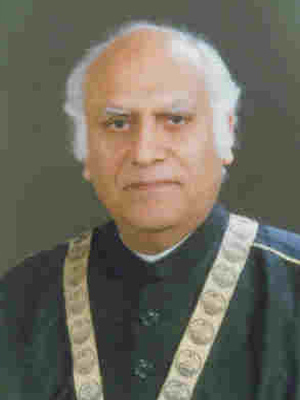 His late father Sardar Faiz Muhammad Khan Khosa, who was awarded the Tehrik-e-Pakistan Gold Medal by the Punjab Government for having worked closely with the Quaid-e-Azam in the struggle for Independence, was an Advocate of the Supreme Court of Pakistan who had also served as an elected member of the Pakistan Bar Council. Justice Khosa is son-in-law of Justice (Retired) Dr. Syed Nasim Hasan Shah who served the superior judiciary of Pakistan for over twenty-six years and retired as Chief Justice of Pakistan in the year 1994. The intellectual credentials of Justice Khosa equally match his academic record. He had served as a part-time lecturer of Constitutional Law at the University Law College, Bahauddin Zakariya University, Multan, the Punjab University Law College, Lahore, the Punjab Law College, Lahore and the Pakistan College of Law, Lahore. He was also a visiting lecturer of Constitutional Law at the Civil Services Academy, Lahore, National Institute of Public Administration (NIPA), Lahore, National Police Academy, Islamabad, Staff Training Institute of the Services and General Administration Department of the Government of the Punjab, Training Course for Civil Judges conducted by the Lahore High Court, Lahore and the Lahore University of Management Sciences (LUMS). He had also served as the Chief Editor of Key Law Reports (KLR). His publications on the constitutional law of Pakistan were read and referred to with seriousness and his legal services had, on many occasions, been usefully utilized by the Supreme Court of Pakistan and the Lahore High Court when he was called upon to assist the Courts as amicus curiae in different important cases. He is serving as a member of the Rhodes Scholarship Selection Committee for Pakistan since 2004. 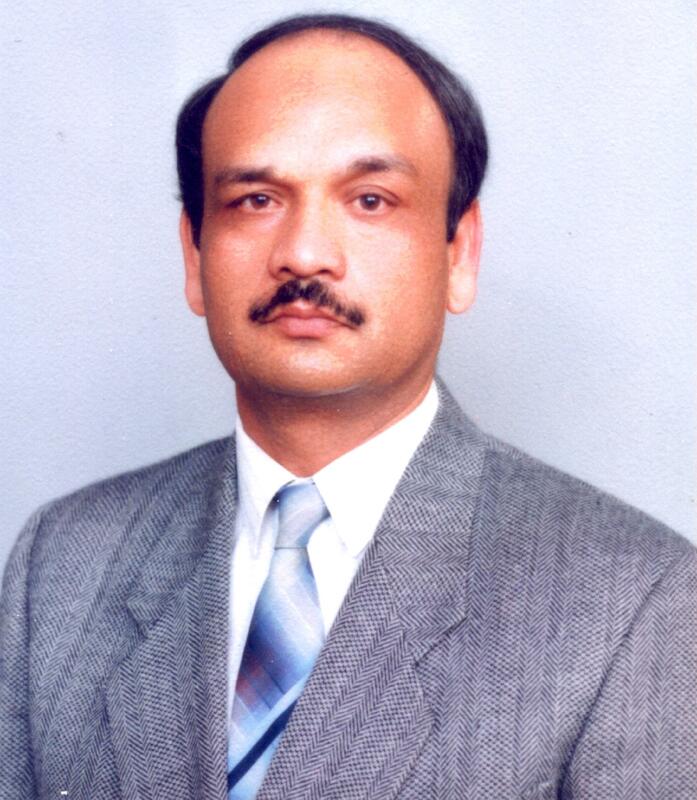 He was appointed as a member of the Board of Management of the Punjab Judicial Academy, Lahore in 2009. Justice Khosa has ample national and international exposure. As a lawyer and then as a Judge he has participated and represented Pakistan in various conferences, seminars and symposia held in Pakistan, Sri Lanka, India, Nepal, Canada, Tanzania, United Kingdom, Mauritius and Malaysia. He is a founding member of the SAARCLAW. He was conferred Fellowship of the Commonwealth Judicial Education Institute, Halifax, Canada in 2006 and in 2008 he was elected a member of the Board of Directors of the Commonwealth Judicial Education Institute, Halifax, Canada. Barrister Asif Saeed Khan Khosa had been elevated to the Bench and appointed as a Judge of the Lahore High Court, Lahore with effect from May 21, 1998 and he served in that capacity for the next about twelve years. 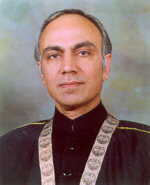 He remained a member of the Administration Committee of the Lahore High Court, Lahore and was the Administrative Judge for Sessions/Criminal causes, matters relating to statistics of the High Court, Information Technology and Court Automation Wing, Access to Justice Programme, training of judicial officers and officials of Court Establishment and Powers Magisterial and Civil. He was also the Administrative Judge for Special Courts (Customs, Taxation and Anti-smuggling), Special Judges (Central) and Special Courts (Control of Narcotic Substances). Justice Khosa wrote his third book ‘Judging with Passion’ in the year 2008. Hon’ble Mr. Justice Mian Saqib Nisar was born on 18.1.1954 at Lahore. His Lordship passed his Matriculation from Cathedral High School, Lahore and Graduation from Government College, Lahore; Bachelor of Law was done from the University of the Punjab in the year 1979-80. His Lordship joined legal profession as an Advocate on 02.05.1980; was enrolled as Advocate of the High Court in 1982 and as Advocate of the Hon’ble Supreme Court of Pakistan in 1994. His Lordship was member of a delegation representing Pakistan in “International Youth Conference” held in Libya, Tripoli in 1973. His Lordship had been practicing in Civil, Commercial, Tax and Constitutional Law; had appeared in large number of important Constitutional cases both in the High Court and the Supreme Court. His Lordship was elected as Secretary General of Lahore High Court Bar Association in the year 1991; was appointed Federal Law Secretary on 29.03.1997 and it is for the first time in the history of the country that some one from the Bar had been appointed to such post. His Lordship represented the Pakistan in International Conference held in Wilton Park U.K. on the subject of “Pakistan and India at Fifty”. His Lordship led Pakistan delegation to Minila, Thailand in a conference of the Minister level on the subject “Asia Region Transitional Crimes” and also led Pakistan delegation on Human Rights to Switzerland. His Lordship also worked as part time Lecturer of Punjab College and Pakistan College of Law, for teaching Civil Procedure Code and Constitution. 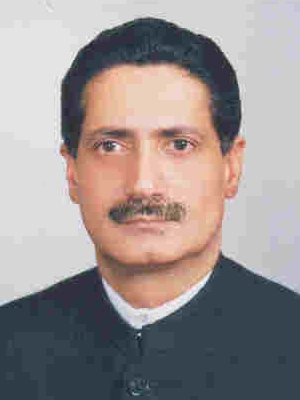 Hon’ble Mr. Justice Mian Muhammad Najum-uz-Zaman son of M.B.Zaman was born in Lahore on 10th March, 1953. He belongs to a well known and well-established family of Lahore. His grand father was a P.C.S. Officer and retired as Sessions Judge in the year 1948. Mr. M.B.Zaman, father of his Lordship was a renowned Senior Advocate of Supreme Court of Pakistan who also served as Advocate General for West Pakistan as well as Advocate General for the Province of Punjab for almost five years. In the year 1968 his Lordship passed Matriculation Examination from Center Model High School, The Lower Mall, Lahore, thereafter passed B.A. Examination from Government College, Lahore and obtained LL.B degree from the Punjab University law College in the year 1975. His Lordship also had the opportunity to attend Orientation Course in Shariah (Islamic Laws) at International Islamic University, Islamabad from 28.11.1992 to 18.3.1993. He also participated in the study tour of Arab Republic of Egypt and Saudi Arabia as well as participated in the Training Course in Islamic Law at National Centre for Judicial Studies (Ministry of Justice), Cario (Egypt) (1993).His Lordship commenced practice in the legal profession from the office of Kh. 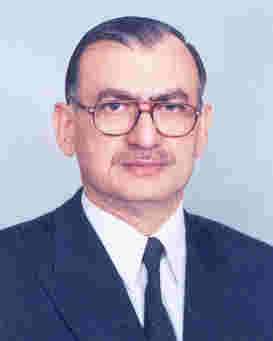 Sultan Ahmad, Senior Advocate of Supreme Court of Pakistan. He was enrolled as an advocate for the lower courts on 26th March,1976, as an advocate of High Court on 17th April,1978 and as an advocate of Supreme Court of Pakistan on 29th September, 1988. He was appointed as Law Officer for the Government of Punjab (Assistant Advocate General) on 13.2.1984 and served in the office till 2nd August, 1994 i.e. more than ten years. Being Law Officer for the Government of Punjab, his Lordship was also appointed as Member of Recruitment Committee constituted by Government of Punjab for recruitment of official in BPS 1 to 15, in the office of Advocate General, Punjab. He was also nominated as Member of Executive Committee of Lahore High Court Bar Association on 3rd April, 1996 as well as Member of the Intellectual Property Laws Committee of Lahore High Court bar Association on 21st July, 1996 His Lordship being a Law Officer for the Government of Punjab as well as during the period of private practice had conducted numerous famous cases pertaining to constitution, criminal and service matters. Many of these cases are reported in the Law Journal. In the year 1990-92 his Lordship also represented President of Pakistan in the References filed under the Parliament and Provincial Assemblies (Disqualification for Membership) Order,1977. 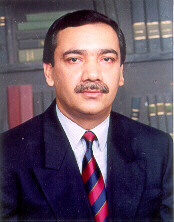 He was elevated as Additional Judge of Lahore High Court in May,1998 and as Judge of this august Court in May 1999. 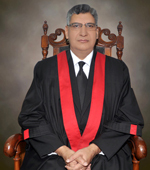 Hon’ble Mr. Justice Sayed Najam-ul-Hassan Kazmi, was born on August 20, 1948, at Lahore. His lordship had his early education at Lahore, passed B.A. Examination from Government College Lahore, in the year 1968, obtained LL.B degree in 1970 and Diploma in Taxation Law in 1971, from Punjab University Law College.His Lordship was enrolled as an Advocate, in February 1971, as Advocate, Lahore High Court in April 1973 and as Advocate Supreme Court of Pakistan, in 1980. The Hon’ble Judge, remained Member of Executive Committee of Lahore High Court Bar Association. 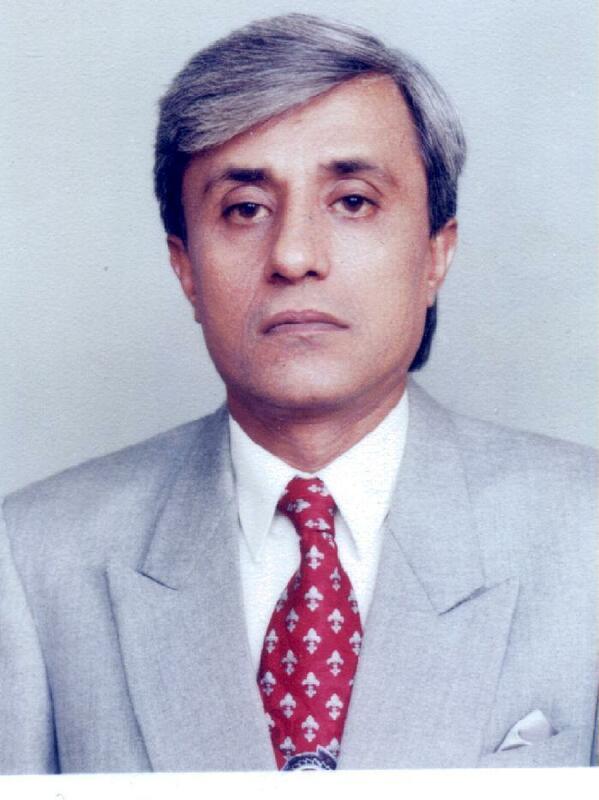 Mr. Justice Ijaz Ahmad was born on May 5, 1945, in Chak No. 15-SB, Tehsil Bhalwal District Sargodha. He belongs to Agriculturist family. He passed his Graduation of Science as a student of Islamia College, Civil Lines Lahore. He entered legal profession by joining Mr. S.M. Zafar Senior Advocate and later on established his own office under the name and style of Ijaz Law Associates. He was enrolled as Advocate of subordinate Courts in 1973, Advocate of the High Court in 1975 and Advocate of Supreme Court of Pakistan in 1981. He was legal Advisor of the Board of Intermediate and Secondary Education, Lahore from 1979 till elevation; Legal Advisor Board of Intermediate and Secondary Education, Gujranwala from 1995 till elevation; Legal Advisor of the University of the Punjab, Lahore from 1995 to April 1997; Legal Advisor Punjab Text Book Board, Lahore and Settlement Department. He was also on the panel of Advocate of the National Bank of Pakistan, Pakistan Industrial Credit and Investment Corporation (PICIC), Water and Power Development Authority (WAPDA). He was Honoarary Legal Advisor of the University Grants Commission, Islamia College Old Boys Association, Anjuman-e-Kashtkaran and Residence Association of Lahore Cantt. Cooperative Housing Society, Lahore Cantt. He was also a part time lecturer in the University Law College Lahore and Civil Services Academy, Lahore. 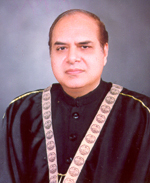 He was elected as General Secretary Lahore High Court Bar Association in 1985. 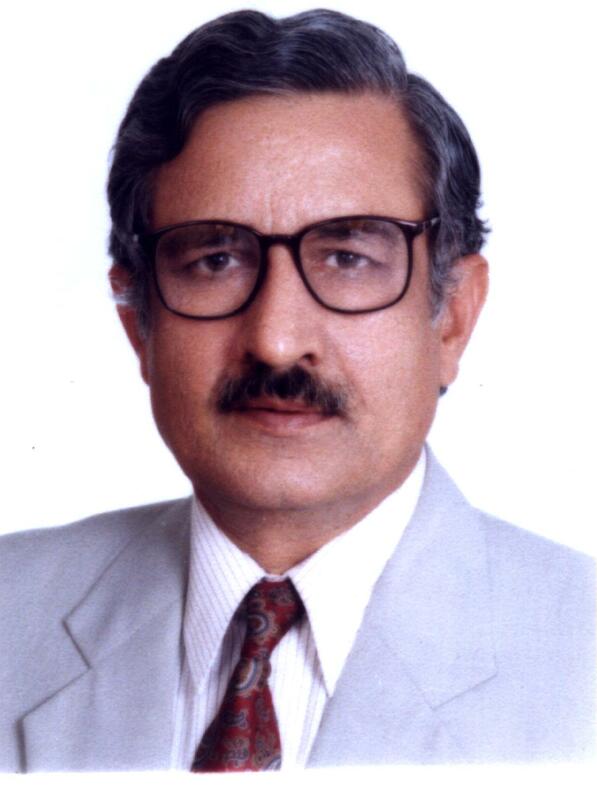 He was Member, Executive Committee, Lahore High Court Bar Association in 1979 and 1987. He was Member, Publication Committee High Court Bar Association, Lahore, He was joint Secretary Pakistan Young Lawyers Forum in 1975. 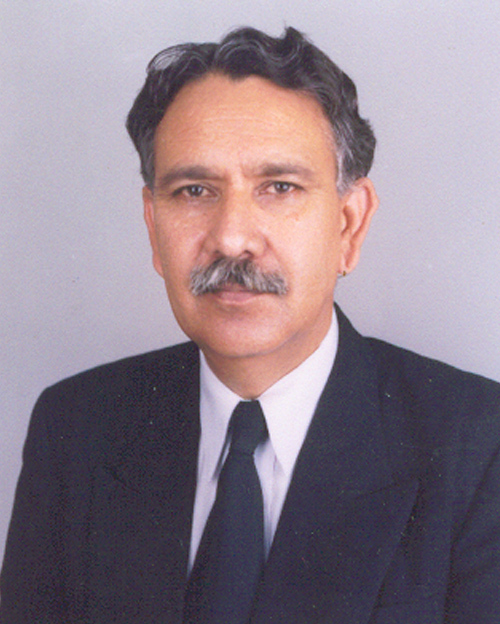 He was Secretary (Legal) Anjuman-e-Tuhaffiz-e-Haqooq-e-Insani in 1978. He was Joint Secretary, Forum of Civil Liberties in 1979. He remained Vice President Human Rights Society of Pakistan. He also remained Deputy Attorney General of Pakistan from 26-8-1990 to 11-3-1995. He is author of four books namely (i) Separation and Independence of Judiciary (ii) Fikro Nazar (iii) Manual of Election Laws (iv) Supreme Court References. He has also contributed various thoughts provoking Articles on Socio-Economic and Political Issues which have been published in the daily Newspapers particularly Nawa-i-Waqat, Lahore. He conducted numerous famous cases pertaining to Constitution, Civil, Criminal, Service, Labour and Commercial and were reported in the law journals. Mr. Justice Zafar Pasha Ch. 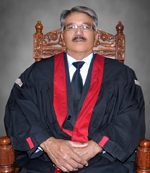 Mr. Justice Muhammad Asif Jan son of Mr. Justice A. M. Jan was born on October 10, 1939. Matriculated from St. Anthony’s High School, Lahore in 1955. Graduated with Honours from Government College, Lahore in 1959. Graduated in Law from the University Law College, Lahore in 1961. Enrolled as an Advocate of the West Pakistan High Court in 1964. Appointed part time Law Lecturer in the University Law College, Lahore in 1967. Enrolled as an Advocate of the Supreme Court of Pakistan in 1969. Appointed Assistant Advocate General of Punjab in 1975. Appointed Deputy Attorney General for Pakistan in 1989. Elevated to the Bench of the Lahore High Court in 1994. 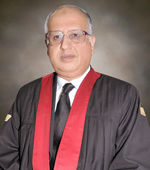 Mr. Justice Tassaduq Hussain Jilani son of Muhammad Ramzan Shah Jilani was born on July 6, 1949; did M.A. 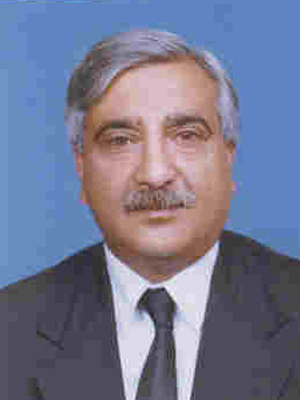 (Political Science), LL.B; did a course in Constitutional Law from the University of London in the Institute of Advance Legal Studies; started practice at District Courts, Multan in 1974; enrolled as an Advocate of the High Court in 1976; elected General Secretary, District Bar Association, Multan in 1976; elected Member Punjab Bar Council in 1978; appointed as Assistant Advocate-General Punjab in July, 1979; enrolled as an Advocate of the Supreme Court of Pakistan in 1983; promoted as Additional Advocate-General Punjab in 1988; led Pakistan delegation in a meting of SAARC Countries Legal Experts on “Harmonization of Drug Laws in the Region” held in New Delhi; participated in a Seminar jointly organized by Ministry of Interior and U.S. Justice Department on “Enforcement of Drug Laws” in January, 1990 (in Islamabad); attended a meeting of the SAARC Technical Committee on the Prevention of Drug Trafficking as Member of the Pakistan Delegation (held at Karachi from August 6th to 8th, 1990); Member of the Syndicate, Bahauddin Zakariya University, Multan; went to USA on an invitation from U.S. Ministry of Justice for a study of the American Judicial System in 1991; was awarded Key of the City of Detroit (Michigan) by the Mayor; Author of Booklet/Articles: (a) “Towards a Dynamic Constitutional Order”; (b) “An Essay in Competitive Co-existence”; and (c) “The Rule of Law in Islam”; appointed as Advocate-General Punjab in 1993; served as Part-time Lecturer in Jurisprudence in the University Law College at Multan. 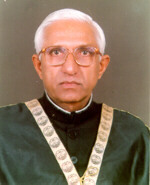 He took oath as a Judge of Lahore High Court on August 7, 1994; visited United States of America on the invitation from “The Institute for the Study and Development of Legal Systems San Francisco, California” in connection with a workshop “Alternative Dispute Resolution Mechanisms” held from 1st to 10th June, 1998; attended “Judicial Colloquium on the Domestice Application of International Human Rights Norms” held in Bangalore, India from 28th to 30th December, 1998; attended “Judicial Colloquium on the application of International Human Rights Law at the Domestic Level” held at Vienna (Austria) from 27th to 29th October, 1999 to commemorate 20th Anniversary of the Adoption of the CEDAW (Convention on the Elimination of all forms of Discrimination Against Women) and presented a paper on “The Right to Marry” in the said Colloquium. Visited Dhaka, Bangladesh from 2.4.2000 to 6.4.2000 and attended a Seminar on Alternative Dispute Resolution arranged by the Superior Judiciary of Bangladesh in collaboration with the Institute for the Study and Development of Legal Systems USA; Visited Bangladesh with effect from 11th May to 15th May, 2000 for participation in a preliminary Judicial Colloquium being organized jointly by INTERIGHTS, the Commonwealth Human Rights Initiative and the Bangladesh Legal Aid Services Trust; visited San Diego, Los Angeles and San Francisco California with effect from 16th to 28 May, 2000 to participate in a work-travel programme in connection with ADR (Alternative Dispute Resolution) arranged by the Institute for Study of Development for Legal Systems (ISDLS) San Francisco California USA; Presented a paper on “Implementing the Right to Marry: a view from the Pakistan Courts” in a Seminar Organized by INTERIGHTS (the International Centre for the Legal Protection of Human Rights) & CIMEL (the Centre for Islamic and Middle Eastern Law) on “Forced Marriage as an Abuse of Human Rights: Legal and Social Issues” held on 16th July, 2000 at SOAS, University of London; participated in “UK-PAKISTAN JUDICIAL CONFERENCE ON CHILD AND FAMILY LAW”, held at Royal Courts of Justice, London from 13th to 17th January, 2003 as a Member of Pakistan delegation headed by the Chief Justice of Pakistan Mr. Justice Sh. Riaz Ahmad; visited San Fancisco (USA) to attend the South Asian Rule of Law Dialogue with effect from 26th to 31st May, 2003. Elevated as Judge, Supreme Court of Pakistan on 31st July 2004. Went to Kula Lumpur to attend a conference on A.D.R in December 2004.